Months ahead of the federal government's legalization of marijuana, the B.C. 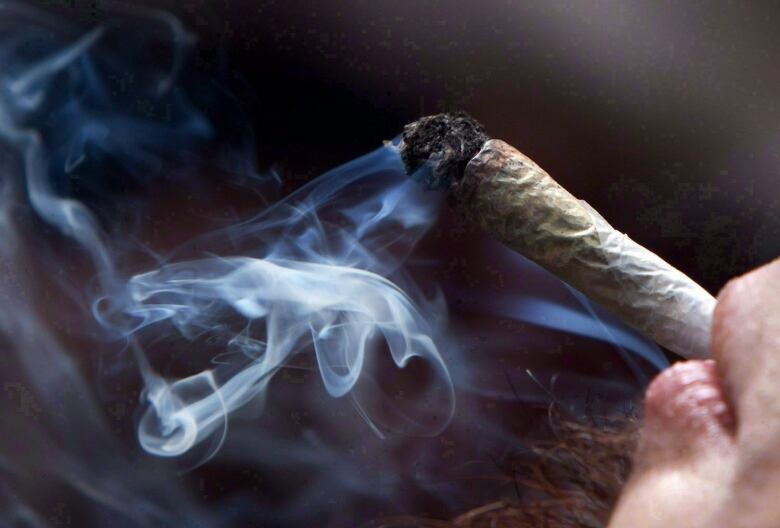 Trucking Association is calling for a zero tolerance pot-smoking policy for all professional drivers . 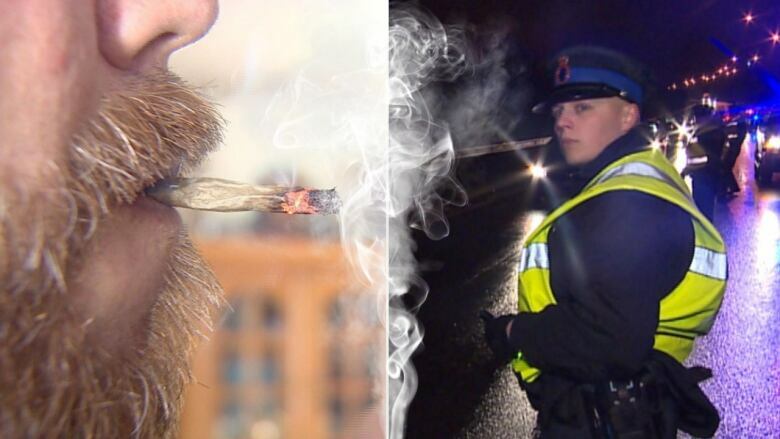 With just over nine months to prepare for the impending legalization of marijuana across Canada, politicians and law enforcement still have concerns about proposed legislation, especially regarding impaired driving. The federal government tabled two pieces of marijuana legislation in April; one to regulate recreational use, sales and cultivation, the second to address impaired driving. But critics are concerned the law will face constitutional challenges. "The science isn't there to indicate when impairment occurs," Kyla Lee, a Vancouver-based criminal lawyer told Gloria Macarenko, host of B.C. Almanac. Currently, the only roadside test for marijuana impairment is physical assessment by an officer, such as testing a driver's ability to balance, as there are no breathalyzer-like devices that measure marijuana impairment. Even if such a device were employed, critics have said that setting a legal limit for THC in the blood may not accurately indicate impairment, as some people tolerate the drugs differently, and THC can be present in urine for weeks after consumption. "People who are using marijuana for a legitimate medical purpose are going to be negatively impacted by the policy. They're either going to be choosing between their medicine or working, which is not fair," Lee said. B.C. truck drivers may soon find themselves faced with that exact choice as the B.C. Trucking Association moves towards a zero tolerance policy for marijuana use for its members. "We want to make sure that workplaces are safe for our employees. We also want to make sure the workplace we share with the driving public is safe as well," said Louise Yako, CEO of the B.C. Trucking Association. Yako agrees the science and the evidence are lagging behind the pace with which the legislation is moving forward and said that's one of the reasons the association is opting for a zero tolerance model. The topic of marijuana behind the wheel was expected to dominate talks between Federal Justice Minister Jody Wilson-Raybould and her provincial and territorial counterparts in Vancouver Thursday and Friday. Earlier this week, police from B.C. and other provinces addressed the Parliamentary health committee with concerns police are not going to be adequately prepared to enforce the new laws in time for the July, 2018 deadline. In the absence of science and evidence, Lee said she hopes to see a robust public education program coupled with enforcement on the road. "A lot of studies that have been done into harm reduction on roadways and death tolls have found the biggest factor that deters people from impaired driving is consistent education and consistent enforcement," said Lee. Some of those studies took place in Washington State where recreational use of the drug is already legal. Since 2013, shortly after marijuana was legalized for recreational use, Washington has seen an increase in marijuana related vehicle fatalities, according to Doug Dahl, the Target Zero manager for the Whatcom County Traffic Safety Task Force. But those numbers are determined by blood tests, which require a warrant to obtain and indicate the number of drivers who tested positive for THC, which is not necessarily an indication of impairment. "I think it's important to recognize that the more access people have to marijuana, the more likely it is that you're going to have people using it incorrectly in ways that are dangerous to people on the roads," said Dahl.